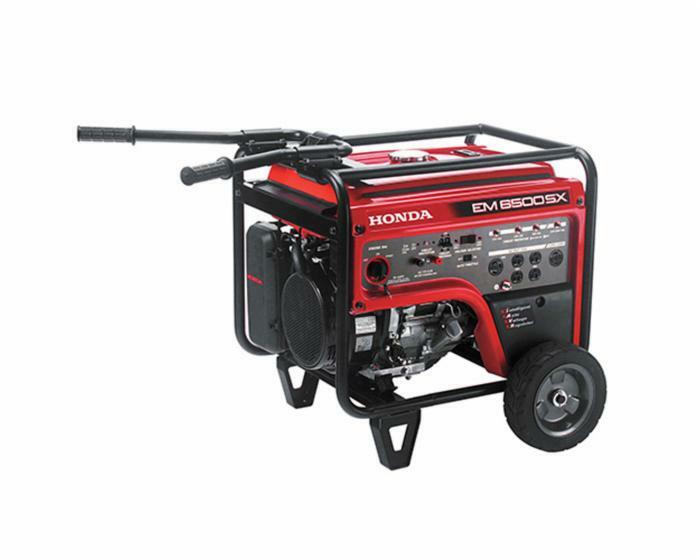 Honda Generator EM6500S with deluxe electric start delivers 6,500 watts of consistent power and 10 seconds of 7,000-watt power for starting larger equipment. 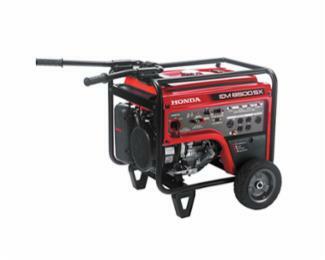 Equipped with a powerful Honda iGX commercial engine, this generator is great for running refrigerators, furnace fans, sump pumps, TV sets, and other home appliances. In addition, a 10.4-hour run time gives you long-lasting power, while a 3-year warranty keeps your EM6500S running for years to come. * Great for powering air compressors, bench grinders, circular saws, drills, pressure washers, industrial motors, etc.